DS: Thank u for the report. Keep It up. But you can be sure of one thing, he will not set foot in any church in the West America hagere sibket. Everyone knows who he is and there is no way he would even dare. Ofcourse, if the leaders (of some of the churches) are "in bed" with Aba Paulos, that might be something. but the members have to fight and chase his "arse" out of America. May God bless our Church and the true servants. So what surprises you ? do not accept his authority and make him functionless . You are not like us (in Ethiopia) where you can be intemediated by the federal police or governement security agents loyal to the patriarch. You better die than sureendering to such kind of people. Egziabeher meftihe alewu. Shih zemen yinoru mesluachewu "Patriyarku" bibetebitum sirachewu sayitalem yetefeta sayitegeber yetewegeze newu. Tewahido nitsigit natina be"Patriyariku" sira atimezenim. Ere lenehe sewye leb yestacheu belen tselot enyzelachew beewenet almachew menem legbagen alchalem . O! 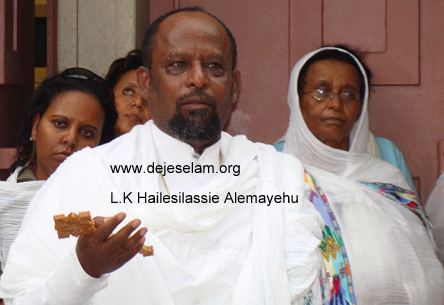 amlake dawit tselotachinen seman amen. ደጀሰላሞች ለምን በግለሰብ ላይ ታተኩራላችሁ? ስለምትሉት ሁላ በማስረጃ ልታረጋግጡልን ትችላላቹ? Min Ayinetu Anony new Yihe Degmo. Kezih belay Endet bale Masreja Yokreb. H/Giorgies, I know you will read this and you definitely understand it. I will have a lot to say about you, as we know very well each other. Eske meche betekrstianin tasadidataleh??????? ለምን ጳጳስ አያደርጉትም? ለምን ጵጵስና ሰጥተው አንዱን ሀገረ ስብከት አይሰጡትም?! 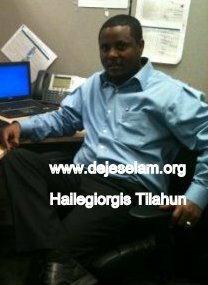 Hi Dejeselam It is obvious that everybody know him as Tehadiso. So why call him Diakon? I said this so many times. I repeat again. Unless we act against this ungodly so cold patriarch, more and more of such decisions will come. if we just sit and accept because we can't question it. As you see the holly synod is either tied, ineffetive or down right bought. We can't just sit and wait for mena to fall of the sky. All our brothers and sisters above say same thing. THE, I say THE, source of our problem is the Patriarch and his cronies.